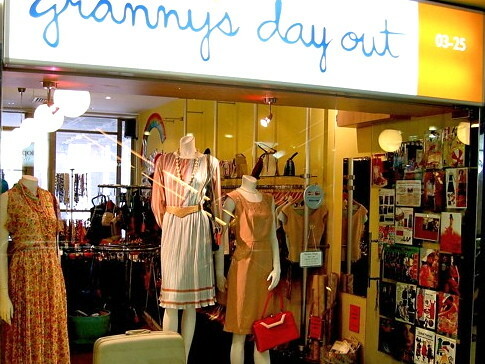 Go BACK TO WORK in style with these one-of-a-kind vintage pieces. 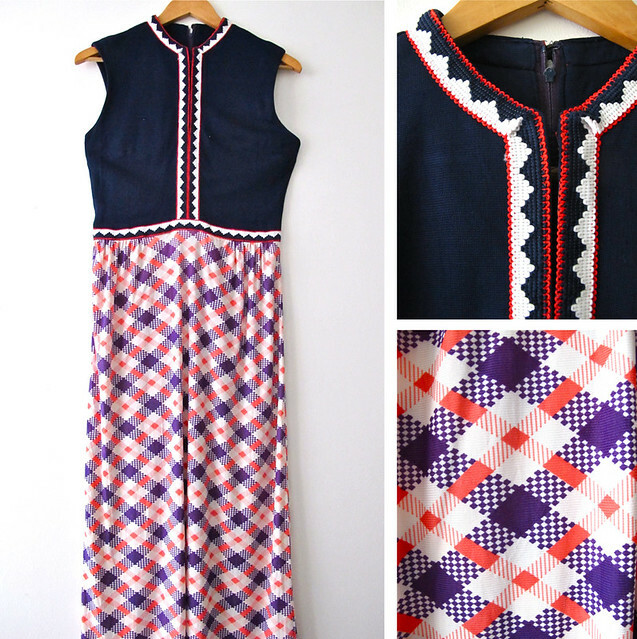 We love the rich colours and print on this 1960s drop waist dress. Featuring a cute collar and a back zip. Seen here with a gorgeous Etienne Aigner oxblood leather sling. Oh so mod! 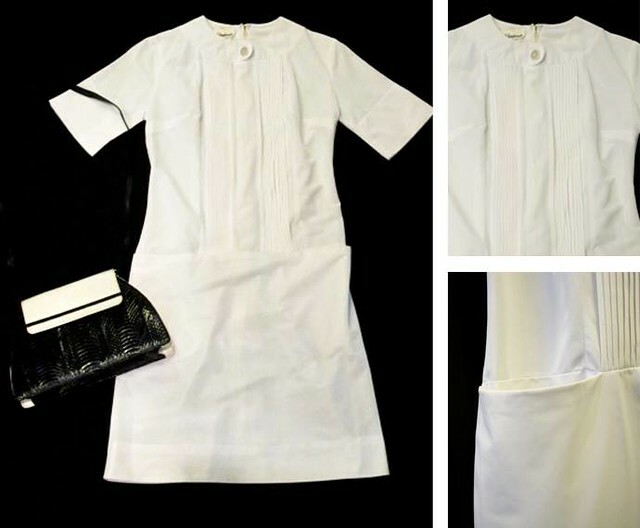 1960s white drop waist dress, with 2 pockets at the sides. Pretty in paisley! 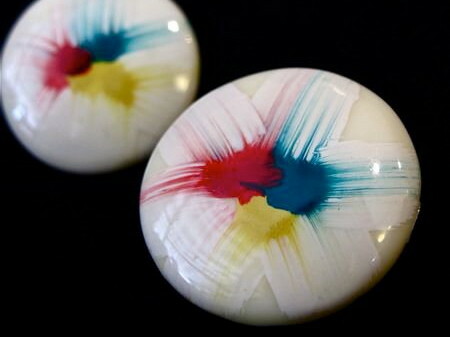 Pair this one with a long-sleeved white chiffon blouse and you’re good to go. 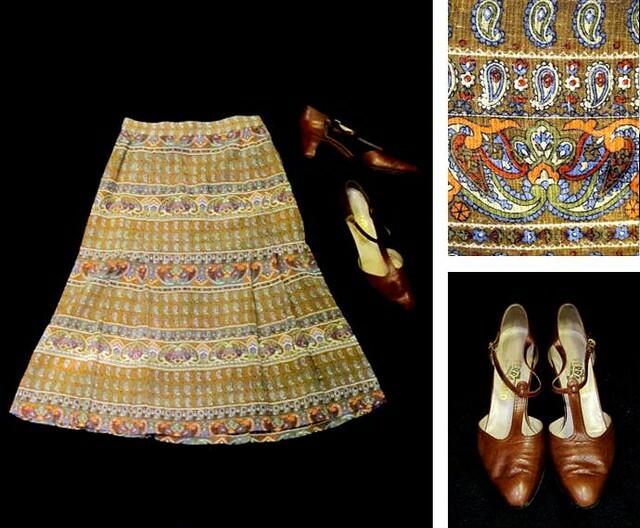 Featuring a lovely pair of vintage Salvatore Ferragamo leather pumps. 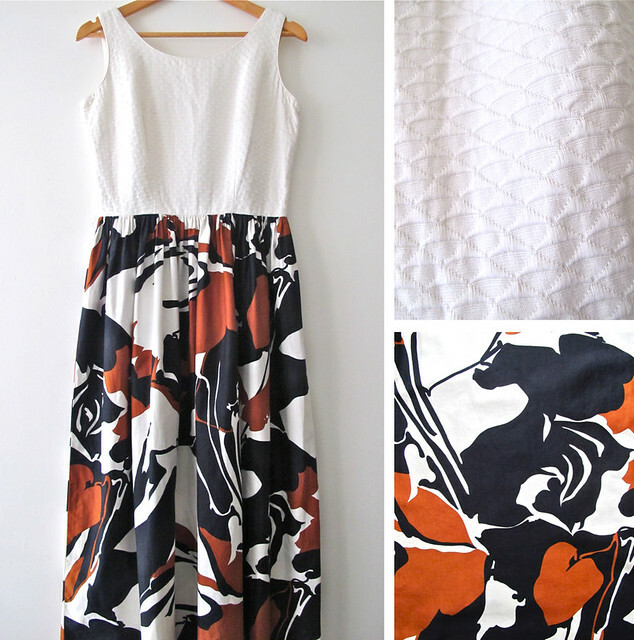 Skirt: XXS ( Waist size 23″) Calling all you really petite ladies out there! 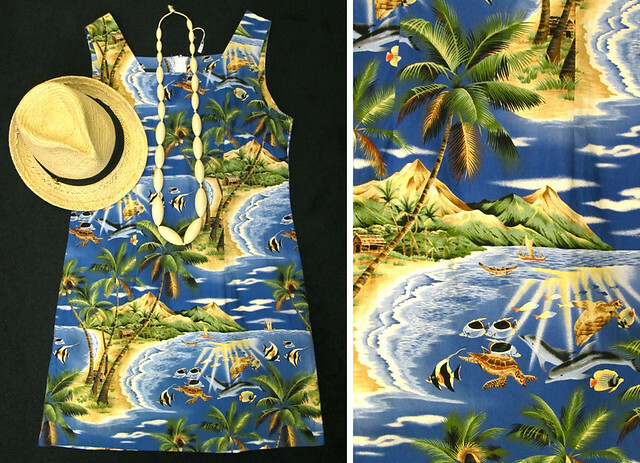 This 1980s number makes us yearn for a tropical island break! Featuring an island paradise with swaying coconut trees, beach huts, and all sorts of marine life, it’s also super comfy to boot! Just slip it on, pair it with sandals and a straw hat, and you’re ready to go! 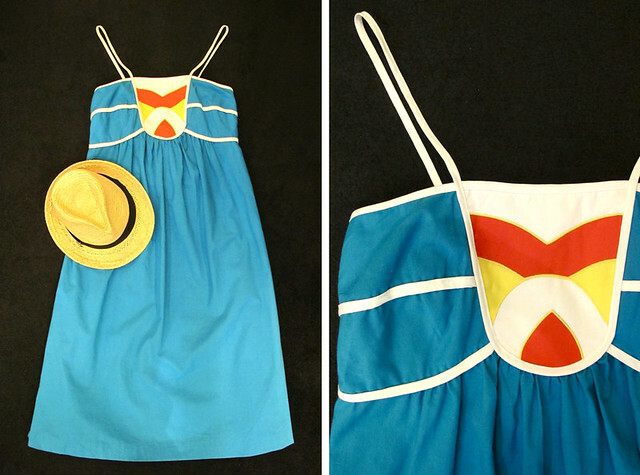 Quirky and fun 1970s summer tent dress! 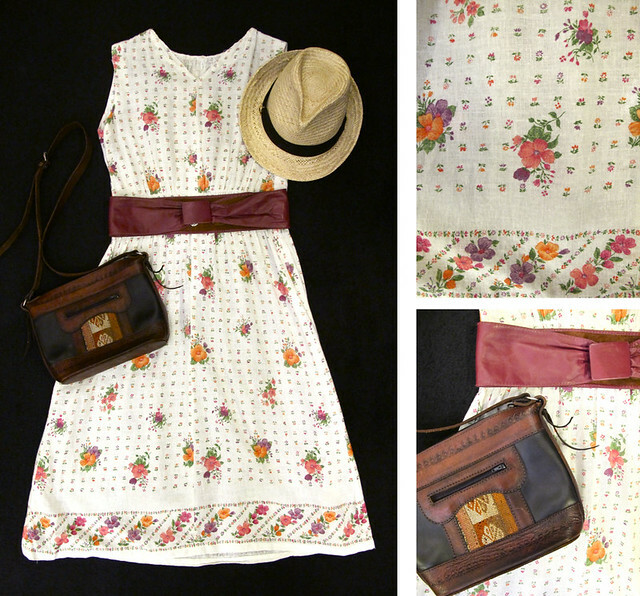 A sweet gauzy floral print dress, light and airy, perfect for lazy weekends! 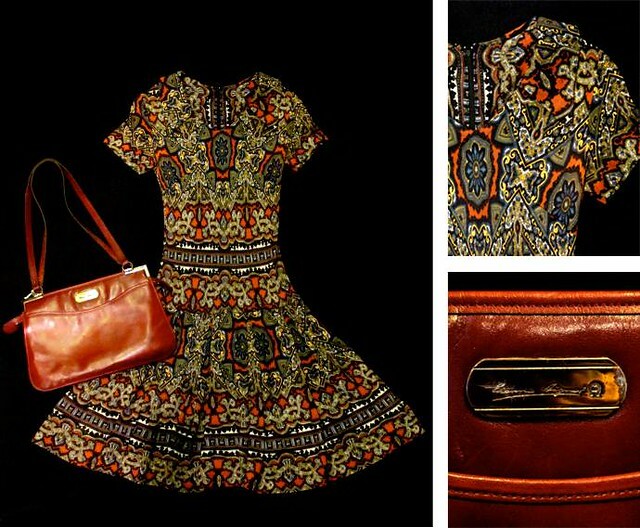 Paired here with a lovely 1970s boho brown leather sling bag and a plum coloured leather belt. 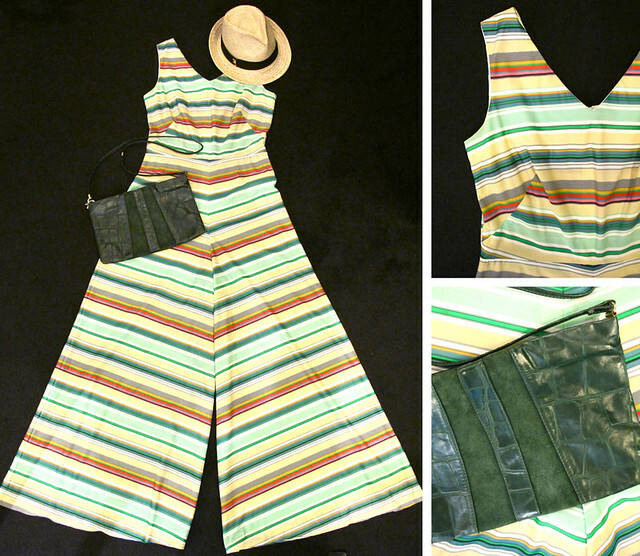 Big, Bold And Absolutely Amazing, We luurrvvvveee palazzo pants, especially when it comes in the form of a jumpsuit – like this fabulous 1970s striped one! 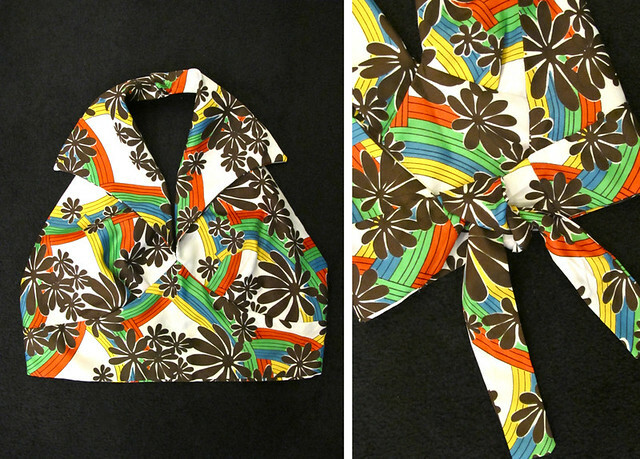 Hippy Chic 1970s halter top – great with your favourite denim cut-offs! 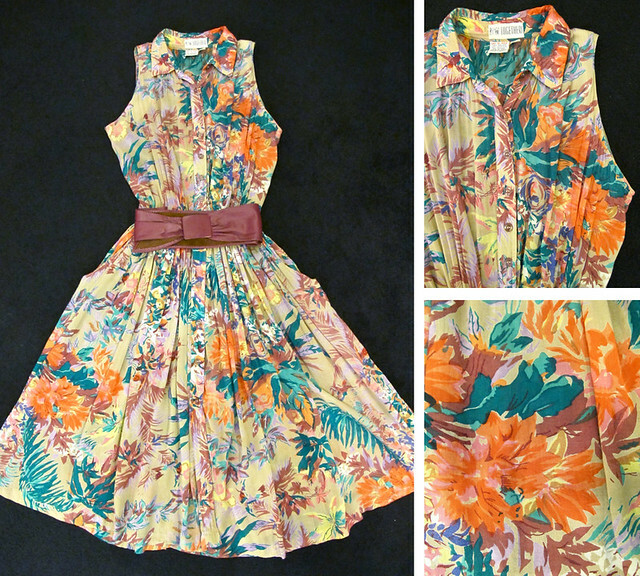 Breezy, flowy, soft and romantic, this 1980s floral print dress in gorgeous pink, orange , and green hues will definitely set your heart a- flutter! 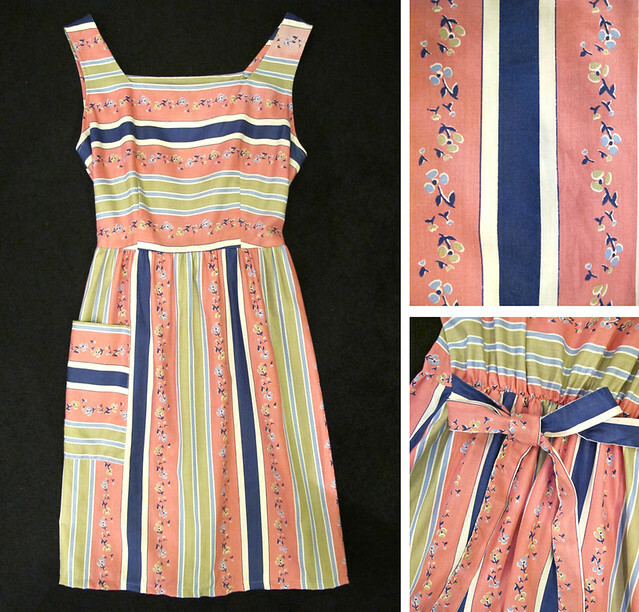 Adorable one-pocket floral and stripes combo dress, with a ribbon-tie back. In full Bloom! 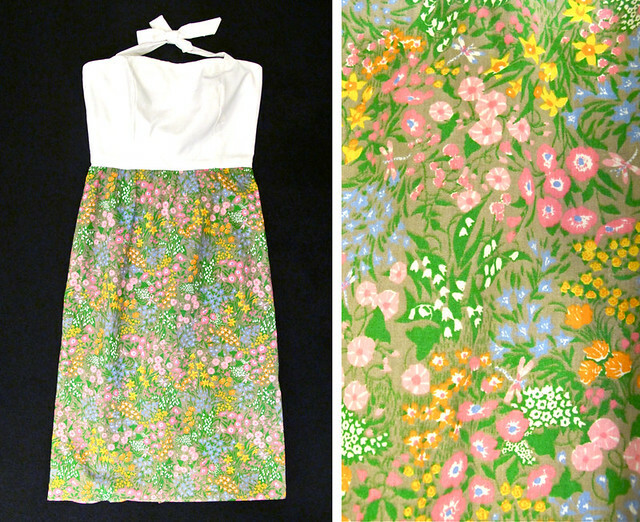 This floral garden print is so pretty! Can you spot the little dragonflies amongst the flowers? 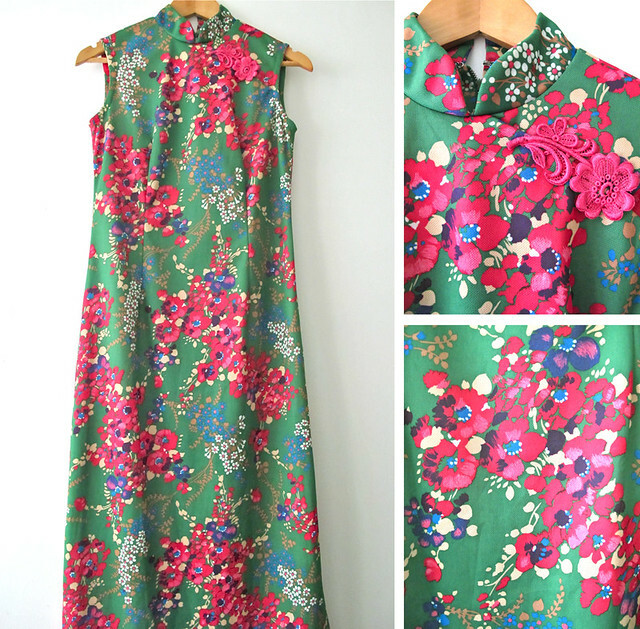 Pretty late 1960s/early 1970s halter neck dress – this would be lovely for a garden party! 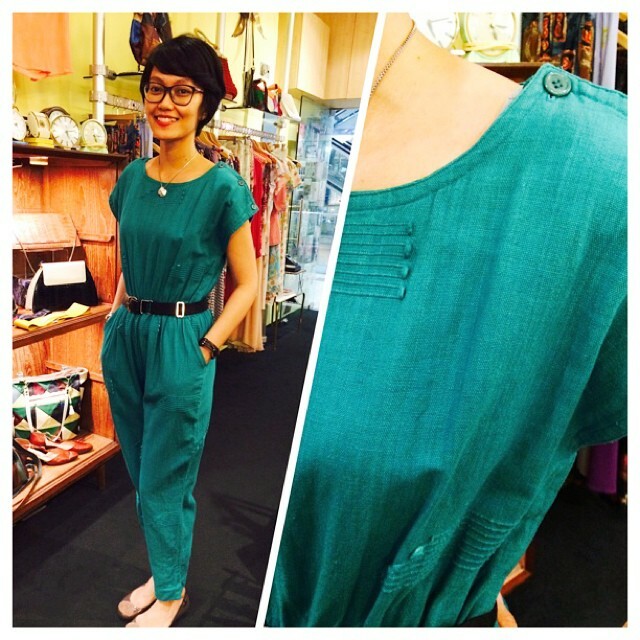 Farhana looking real funky in her first ever jumpsuit from Granny’s Day Out – A 1980s green number hand-loomed in Guatamala!